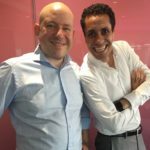 In this week’s podcast we will be discussing digital IDs onto the blockchain. We had the pleasure of having 2 guests in this episode. 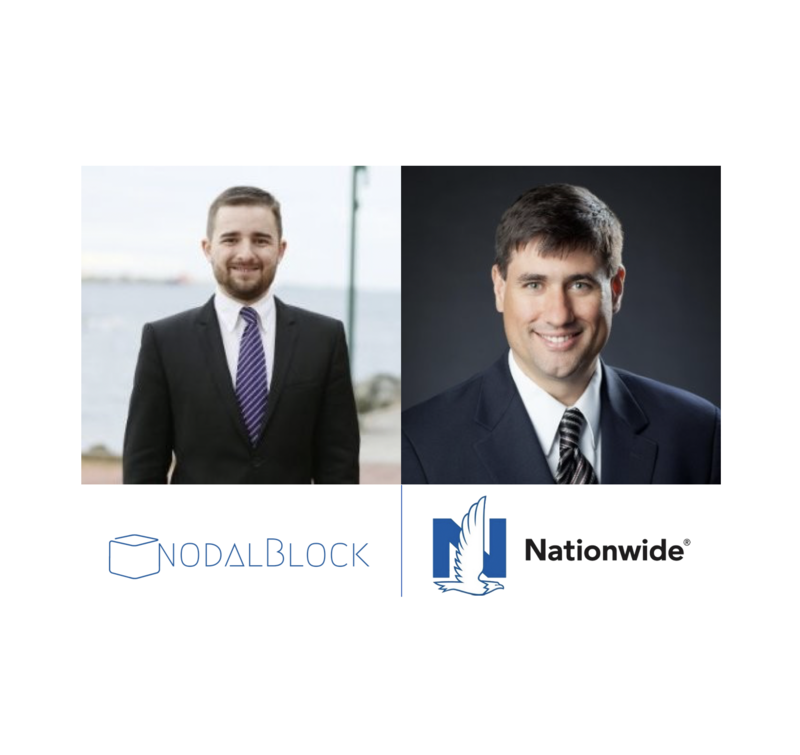 Daniel Faria, CEO of Nodalblock and Timothy Dwyer, VP and Assistant Treasurer at Nationwide Insurance. 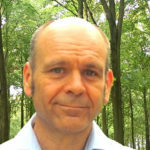 Daniel has had a career in cyber security and entrepreneurship. 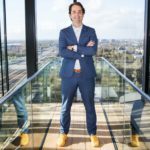 Timothy has spent a majority of his career in treasury and navigated into blockchain about 3 years ago by looking at the disruption it could bring to banking. To explain blockchain in a non-technical manner, think about a traditional accounting firm that has one hundred book keepers. What if each of one of those one hundred book keepers had at the same time had to maintain a ledger saying exactly the same thing. Out of those hundred if more than 51 would say that a certain record is wrong, then all of the other ones would have to fix the book to maintain the record exactly the same way. Nodalblock is a blockchain cyber security company. The fastest FBI has stated that the fastest growing crime in the US is identity theft with one identity being stolen every 3 seconds! That’s 35,000 every day and more than 15 million every year. Nodalblock include digital IDs with multi factor authentication with a certification API that can be used to prove the authenticity of any digital file. A legal binding digital signature and and then an encrypted file transfer tool made available for a client’s IT systems via a regular API. Nodalblock essentially brings security to the blockchain. Nationwide is a diversified insurance company offering life insurance, mutual funds, property and casualty. 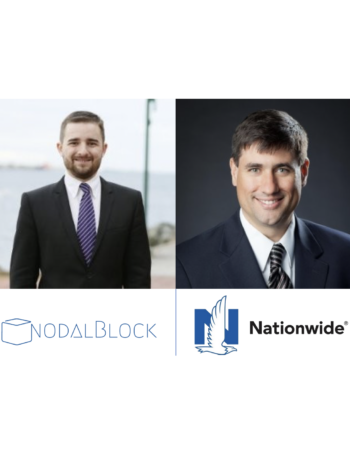 Nationwide has had a keen interest in blockchain, ever since it launched a proof of concept for “Proof of Insurance” with the RiskBlock Alliance (featured in this episode – An Introduction to the RiskBlock Alliance) at the end of 2017. Nationwide has been trying to determine if there was an opportunity for business disruption with blockchain technology on a stand-alone basis. They’re still trying to determine that and they still haven’t found a blockchain use case that will fundamentally change their business. They’re still continuing to look for that and consider themselves to be in education mode regarding blockchian. They have recognised the barriers to entry to blockchain, in the form of the network effect and in speed of transactions that can be pushed throught the network. Two points which they felt will be resolved in due course. As we all know we all leave comprehensive digital footprints wherever we transact on the internet. Whether it is on social media sites like Facebook or Twitter, financial transactions with Paypal and Apple Pay amongst others. We all must disclose personal and financial data to uses these services. This leads to our personal data being stored in various databases which we have little control over. How can digital IDs on the blockchain help to address this, especially in a world where our IDs get hacked with Equifax last year and Facebook last week? 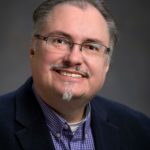 To answer that question businesses have to really ask themselves the question of the value they place in running KYCs and in keeping that information secure. Do they have the necessary processes in place, especially when considering that the biggest security problem is humans; employees in firms that get hacked due to a phishing attack. 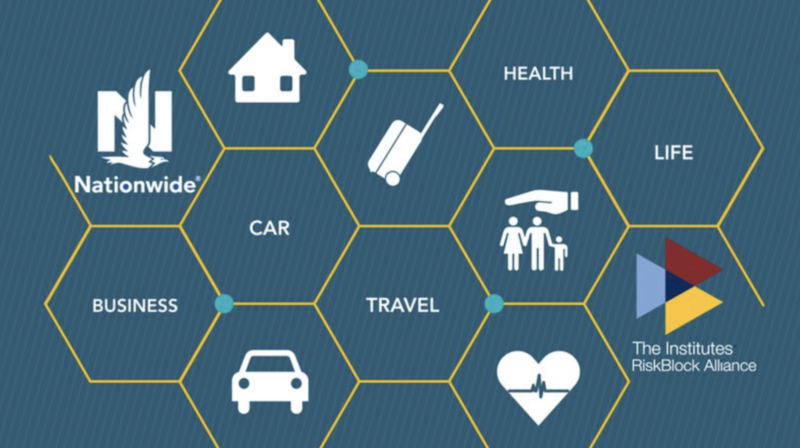 As public and private blockchains can interact between each other it gives large organisations such as insurance companies the strategic opportunity to open up part of their stored internal information (such as their customers digital IDs) to talk to a larger network (public blockchains) whilst maintaining the private sections secure, whilst leveraging the power of public blockchains. 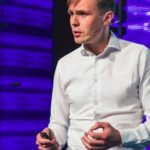 Nodalblock had an example of a recent piece of work they did for a large European insurance company whose GDPR, onboarding and KYC would cost them $175 per client. The insurance customer implemented the Nodalblock ID blockchain solution which lead to reducing their KYC costs and a reduction in their manual labour costs attached to that process. They could now create an automatic process to onboard customers by signing a legally binding policy through their mobile phone. Nationwide didn’t look at digital IDs for their proof of insurance blockchain project as an assumption was made that it was existing customers. Customers were validated outside the chain whilst the proof of insurance sat on the chance. For Daniel, this is very complementary because once you’ve validated the ID you can validate the policy onto the blockchain. For Timothy, every time we need to transact, we have an identify process that isn’t seamless. A global solution, whilst a significant undertaking, to develop a blockchain where digital IDs can be created will provide immense value to insurance companies. It will facilitate the process of validating the process of payments. The way Daniel looks at digital ID with an insurer is that the network of where that client is registered sits on a semi private blockchain with the insurer. There is a smart contract that connects the private ID to a public blockchain where the validators can give you an extra level of security. It is up to the client if they want or not to engage with external parties. Daniel believes that contrary to Timothy you don’t need a global solution for digital IDs. Because Nodalblock supports facial recognition, thumb identification and one time passwords. They have all these tools within their stack including the ability to recognise a drivers license and immediately authenticate it. With those tools they are able to authenticate a client without the need for a global network. 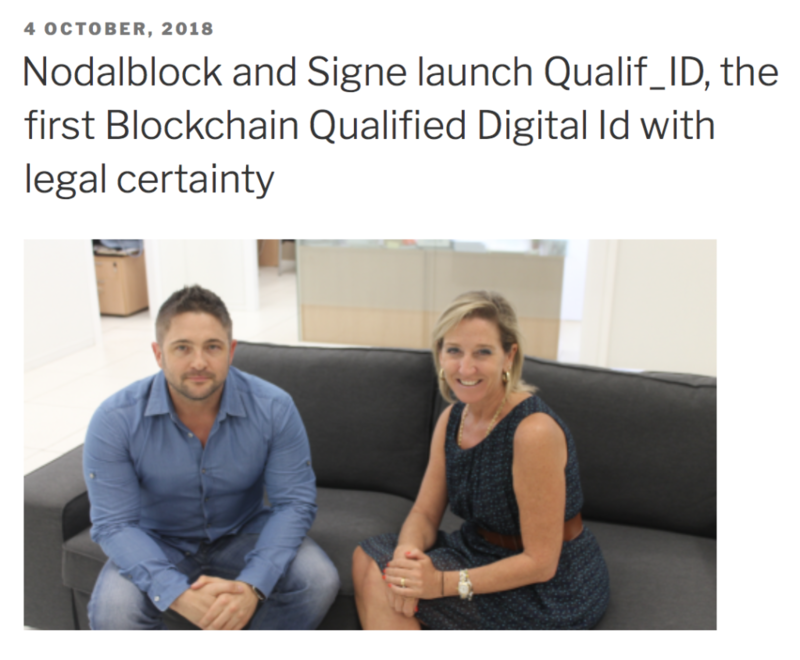 This week, Nodalblock has launched the first digital ID on the blockchain with a qualified electronic signature – Qualif_ID. It brings together the traceability and immutability of blockchain with the legal certainty of the electronic signature.It is legal binding and fully traceable. It helps companies identify users in online transactions for example. Companies regulated by GDPR will be legally obliged to delete user data when the information is no longer required for the reason it was collected. Biometric information will be treated as sensitive data. 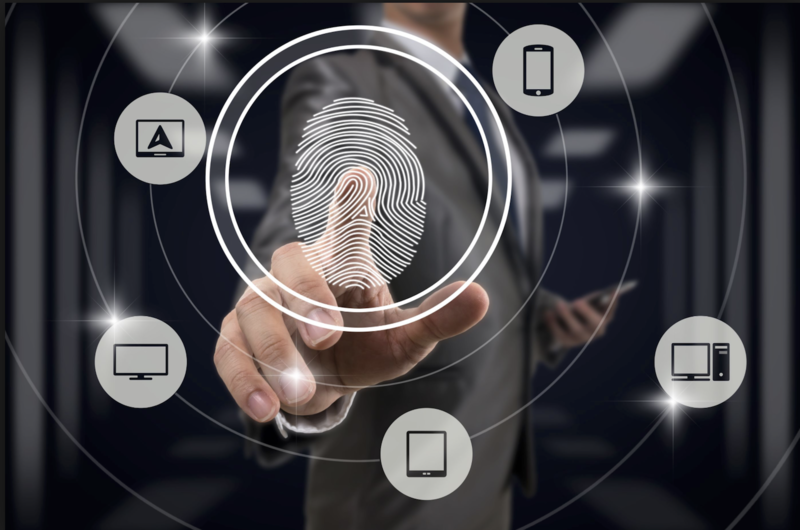 This means that digital IDs have a key role to play in helping companies trace their customer’s data across different IT systems and different business lines. It is quite common that companies to have several different identities for a single customer in their systems. Digital IDs can be generated from personal data but the data cannot be derived from the ID. Only the encrypted hash of the ID is stored onto the blockchain. The personal data is stored off chain. Self sovereign ID will mean a better user experience for the end user. It means the user will have a decentralised ID that will be able to operate across multiple blockchains across the world without the user having to repeat their ID in multiple places. In the past problems of IDs were key based, where we now have a key problem where you have to secure it. Bio markers are a possibility for allowing an identity, combined with a blockchain, to allow a secure way to do KYC prior to a transaction. However there still needs more steps around maturing of the technology and ubiquity in a network where it is common place. For Daniel the key is interoperability. 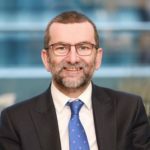 How will companies and governments get their head around it and how it will operate is a challenging question that could take up to 10 years to answer. Timothy: What we have moved away from is using blockchain for process improvement. It turns out you don’t get the pay back for the capital investment or the benefit in improving processes that whilst aren’t that efficient have improved over the years. Once the blockchain technology speeds up Nationwide is interested in using the technology in micro transactions. Does that enable them to do time based insurance in a more efficient way? Will consumers start adopting micro transactions which at the moment aren’t in the marketplace because of costs associated with it? Does that change the network effect of payments and allow a watershed moment where things change? Figuring out the answer to these questions and trying to determine what will be the next big transformational event is what keeps Nationwide interested in exploring the potential of blockchain. 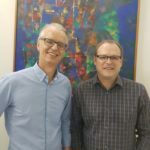 Daniel & Timothy provided some interesting insights on both digital IDs and how to evaluated the potential of blockchain technology. If you liked this episode please do review it on iTunes – your reviews make a huge difference. If you have any comments or suggestions on how we could improve, please don’t hesitate to add a comment below. If you’d like to ask Daniel to Timothy a question, feel free to add a comment below and we’ll get them over to our site to answer your questions.